Summary: Temptation is something we face each and every day. It is possible to have victory over temptation. in this message, Jesus shows us how. 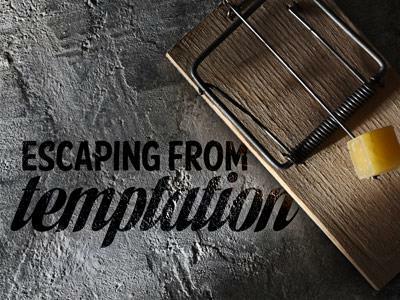 There is a common misconception concerning temptation. Many believe that it is a sin to be tempted. It is not a sin to be tempted; the sin comes when you give in to that temptation. Temptation comes from our own desires, which entice us - James 1:14 But every man is tempted, when he is drawn away of his own lust, and enticed. 15 Then when lust hath conceived, it bringeth forth sin: and sin, when it is finished, bringeth forth death. Some people are so burdened and discouraged when they face a great temptation. They feel so much guilt over the temptation that they don’t even put up a fight against it. 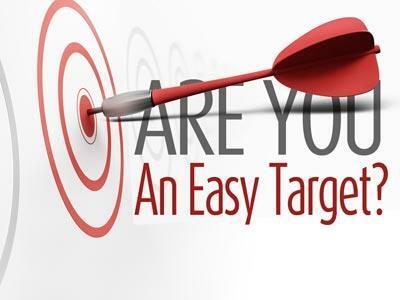 Each and every one of us faces temptation daily… NO ONE IS EXEMPT! Proof that it is no a sin to be tempted is found in our text for today. We read that even our Savior was tempted – The writer of Hebrews stated in Hebrews 4:15 that “Our High Priest understands our weaknesses, for He was tempted just like we are, yet he did not sin.” Even though Jesus was tempted, we find that He was “without sin”. This shows us that there is hope for us when we face temptation. 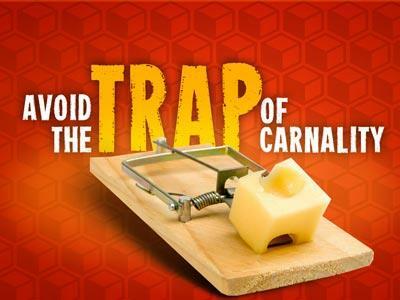 - I Corinthians 10:13 There hath no temptation taken you but such as is common to man: but God is faithful, who will not suffer you to be tempted above that ye are able; but will with the temptation also make a way to escape, that ye may be able to bear it. I find it encouraging that there is a way of escape from temptation. Temptation is a fact. It is real, it is constant and IT IS POWERFUL! v1 ¶Then was Jesus led up of the Spirit into the wilderness to be tempted of the devil. 2 And when he had fasted forty days and forty nights, he was afterward an hungred. Jesus had fasted for 40 days and 40 nights. As a result of His fasting, HE was physically hungry. Consider the preceding events found in Chapter 3 - Matthew 3:16 And Jesus, when he was baptized, went up straightway out of the water: and, lo, the heavens were opened unto him, and he saw the Spirit of God descending like a dove, and lighting upon him: 17 And lo a voice from heaven, saying, This is my beloved Son, in whom I am well pleased. Jesus went from this awesome scene at His baptism right into the wilderness. Satan knew what he was doing …he is the great schemer and he had a plan! He is still that way today! HE IS STILL A SCHEMER! He does not want you to be useful or fruitful for God. He will go to great lengths to trap you and entice you to sin. Temptation is something we face each and every day. It is possible to have victory over temptation. in this message, Jesus shows us how.